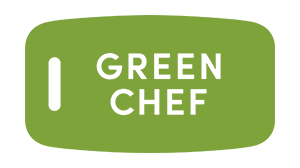 In a nutshell: With organic produce, clean ingredients, and delicious recipes, crafted by one of San Francisco’s top chefs, Sun Basket has an excellent choice of meal options. Their healthy meals take just minutes to assemble and their custom menus mean there's always something for everyone. With menus crafted by one of San Francisco’s top chefs, Sun Basket has an excellent choice of meal delivery options made with 100% organic ingredients. Sun Basket accommodates many different dietary preferences for vegetarians, vegans, gluten-free, and more. With the Classic Menu, customers can choose among 18 new recipes each week. Overall, Sun Basket supplies an affordable meal delivery service with flexible pricing options, however, they do charge $6.99 shipping per order. With Sun Basket, customers can choose from 18 new recipes each week created by Justine Kelly, the former head chef of the James Beard’s award-winning restaurant, The Slanted Door. Sun Basket has two menu options with many choices made with organic produce from over 100 farms and producers. Recipes require about 30 minutes of preparation with no grocery shopping required. With the Classic Menu, customers get three recipes a week at $11.99 per serving. The Classic Menu lets customers choose from all 18 available meal plans. Meal categories include gluten-free, vegetarian, Mediterranean, Paleo, chef’s choice, lean and clean, pescetarian, and vegan. Meanwhile, the Family Menu comes with two, three, or four recipes each week with four servings per menu to feed the whole family. Sun Basket delivers to most areas of the United States except for Alaska, Hawaii, Montana, and certain parts of New Mexico. Customers can choose to receive deliveries on Mondays, Tuesdays, or Wednesdays between 8 AM and 9 PM. Food comes delivered in insulated boxes which keep the food fresh for up to eight hours. Their deliveries also come with helpful storage tips. Sun Basket prices according to two menu options. The Classic Menu costs $11.99 per serving while the Family Menu costs $10.99 per serving. With the Classic Menu, three meals made using their recipes and ingredients will cost $71.94 for two people or $143.88 for four, plus delivery costs. With the Family Menu, the price per person is $10.99 ($87.92 for 2 meals and 175.84 for 4 meals for 4 people, plus the delivery costs). Shipping is free for the first week of subscription. The price of all other orders will include the shipping fee that amounts to $6.99. Sun Basket offers flexible pricing allowing customers to skip a delivery or cancel their subscription at any time. Sun Basket also has the option of giving their subscription as a gift. Customers can get in touch with Sun Basket support by email and phone or through social media. Their website also has videos and tips for preparing meals, making it easier for those learning how to cook. Signing up for their newsletter, recipients get lots of recipes and cooking tips. Sun Basket also conveniently has an app for iOS and Android devices.